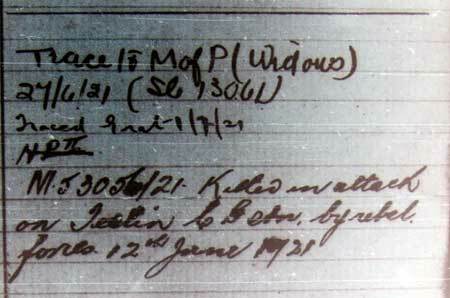 1901 census at on RN coastal defence vessal "Magdala"
1921 Jun 12. 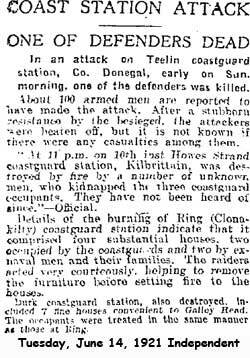 Killed in an action at Teelin Coastguard Station which is now in ruins. Plaque at Teelin Quay (now partially obscured) provides the information that the station was built prior to 1813. In 1920, the IRA attacked the station killing Coastguard George Kennington. A number of local people were arrested and, in retaliation, the IRA burned the station in 1923. The IRA attack started at 3.20 am on 12 June 1921. The IRA held high ground overlooking the Station and concentrated fire on the windows of the building. The Coastguard returned the fire but were unable see their attackers. About 50 men were in the attacking party and they kept up sniping fire for over an hour. 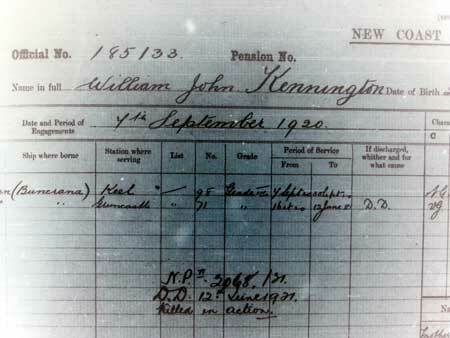 One of the shots killed Coastguard William Kennington. After leaving the Coastguard Station the raiders went to Carrick, about three miles away, and commandeered the only two cars in the place. Local rumour had it that there were casualties to the raiders.